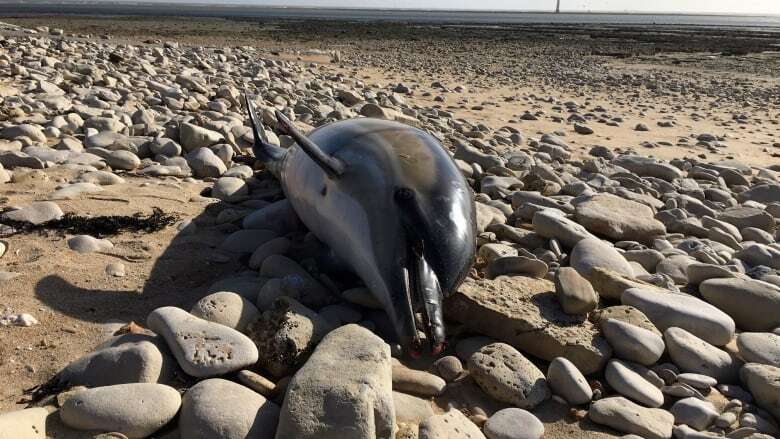 French marine researchers say an unusually high number of dead dolphins have washed up on France's Atlantic coast beaches since January. 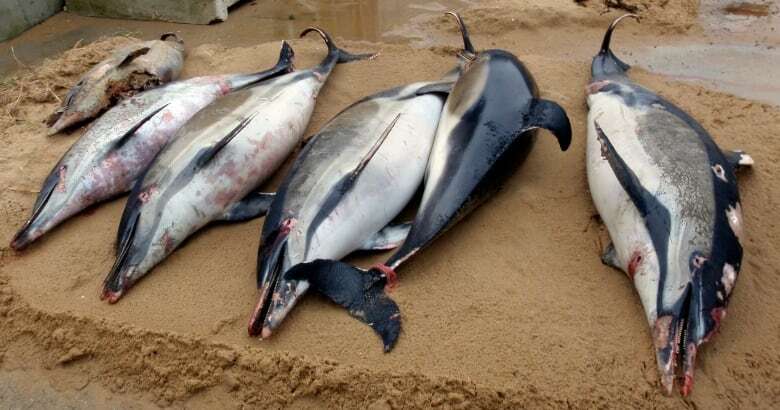 The dolphins' bodies were horribly mutilated, with their fins cut off. But what shocked French marine researchers wasn't just the brutality of the deaths of the highly intelligent mammals, they said, but the numbers involved — a record 1,100. The mass deaths, widely blamed on industrial fishing, have alarmed animal welfare groups and prompted France's ecology minister to launch a national plan to protect them. "There's never been a number this high," said Willy Daubin, a member of La Rochelle University's National Centre for Scientific Research. "Already in three months, we have beaten last year's record, which was up from 2017 and even that was the highest in 40 years." Daubin said 90 per cent of the fatalities resulted from the dolphins being accidentally captured in industrial fishing nets. But the reason behind the spike this year is a mystery. Autopsies carried out on the dolphins this year by the university show extreme levels of mutilation. Activists say it's common for fishermen to cut body parts off the suffocated dolphins after they are pulled up on the nets, to save the nets. 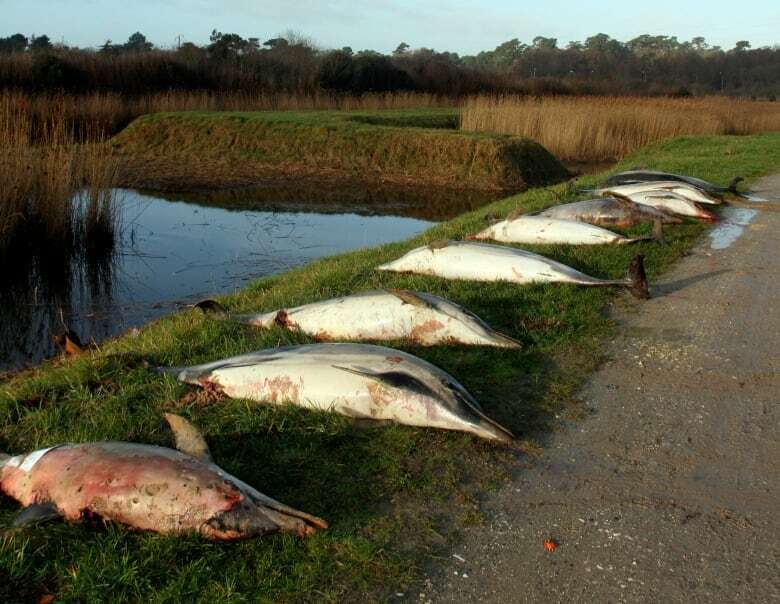 French Ecology Minister François de Rugy rushed last week to La Rochelle in an attempt to lower the number of dolphins dying as a result of human activity. He's under pressure, partly due to French President Emmanuel Macron's pro-ecology stance and oft-quoted slogan to "Make the Planet Great Again." But animal rights group Sea Shepherd said his measures do not go far enough, and has already decried the acoustic repellents as "useless." It claims many of the trawlers they watch in the region don't activate the repellent devices, fearing they will scare off valuable fish as well, and only turn them on if they are being checked by fishing monitors. "The government needs to take responsibility and act — especially Macron, who said he wanted to protect ecology," Lamya Essemlali, president of Sea Shepherd France, told The Associated Press. "The spotlight has been put on the trawlers that fish for sea bass ... which is a scandal. But they were not the only ones responsible," she said. 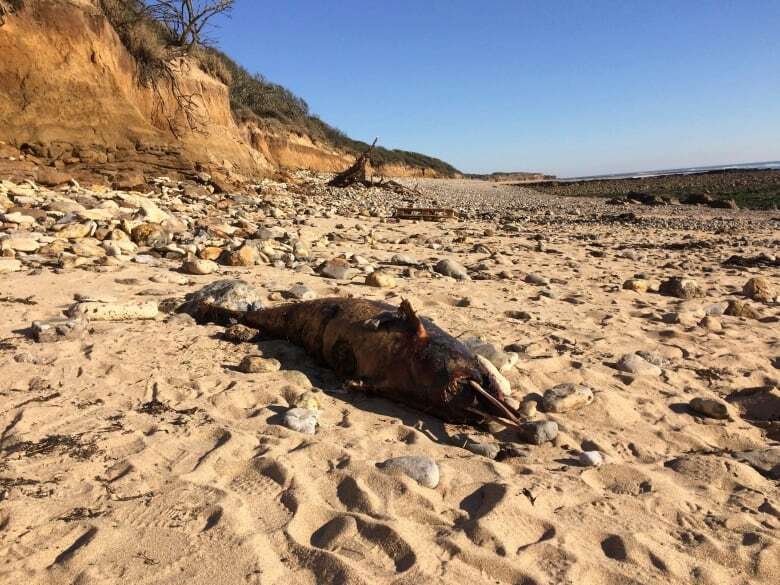 "Right now, the sea bass that is being caught by the trawlers that kill dolphins you can find on the French market for 8 euros per kilogram ($12 per kilogram)," she said.